A critical part of being able to speak Spanish is being able to understand it when you hear it. Easier said then done right? Sure it’s hard, but there are things you can do to improve those wanna-be Spanish ears of yours. Let’s look at some of the ways you can improve your listening skills. Turn on the subtitles when you’re watching a movie. You obviously have two options, and both have their merit. Using English subtitles is a great way to ease into Spanish movies and television because you get to hear the Spanish and be able to really follow the story line with the help of the English subtitles. This won’t necessarily help you distinguish the words, but it’s always good to listen to as much Spanish as possible. Watching a movie in Spanish with Spanish subtitles is something that may not have occurred to you, but the benefits of doing so are tremendous. This allows you see to the words as they are being spoken, so your eyes will work in conjunction with your ears to help you distinguish the words. Do this repeatedly over time and you’ll start to see huge improvements in your listening ability. And you’ll also start to notice that the subtitles don’t always match what you hear. But that’s a completely different conversation. Aside from movies and television, there a some great websites that offer videos with subtitles and/or transcripts. One of my favorite sites is Spanish at the University of Texas. I consider this one of the best sites out there. It’s packed with videos of Spanish speakers of all nationalities giving natural, unscripted answers on a variety of topics. The dialogues of the videos are available in both English and Spanish.The videos cover a variety of topics for all levels of Spanish speakers. The site is free, and you’re really missing out if you don’t take advantage of it. Yabla Spanish isn’t free, but at only $10 a month it’s a steal. Yabla Spanish has almost a 1,000 videos and it’s library is steadily increasing. Not only do the videos have the English and Spanish transcripts, but there are vocabulary and grammar lessons to go with the videos as well. There are videos for all levels of Spanish learners in categories such as comedy, interviews, food, travel, telenovelas, music videos and more. These are just two of many sites available on the internet. If you have a site you want to share post it in the comments! Music is also a great way to improve your listening abilities. It may not seem like it when you’re trying to decipher all those lyrics you hear at what seems like light speed, but don’t let that stop you from enjoying some great Spanish tunes. Find a song or two you like and look up the letra (lyrics) and use them to help you sing along. There’s also a great site called Lyrics Training to help you use music to improve your Spanish. It’s packed with all sorts of music videos at the beginner, intermediate and advanced levels. The lyrics are displayed as you watch and sing along. It even has a game mode. And did I mention it’s free? Singing will help you with your speaking abilities too. Singing typically requires a faster pace than regular conversation, so if you can keep up with Shakira a regular conversation will be a breeze. I always recommend podcasts because they allow you to make use of otherwise wasted time. Like commuting. And because I learned probably 60% of my Spanish from them. My personal tastes aside, there a plenty of podcast sites to help you with your listening skills. This site has dozens of articles (podcasts) and matching PDF’s so you can read along as you listen. 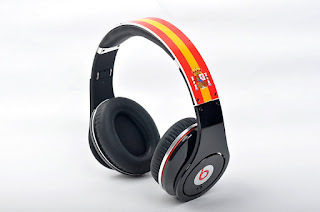 The articles are about the culture, history, food, people and more of the Spanish speaking world. Most of the articles even include references to videos that provide supplemental information. It’s more for intermediate and advanced speakers as the materials are 100% Spanish. Also free. You’ll find lots of podcasts for all levels with transcripts and grammar lessons. They even have lessons that focus on regional Spanish. 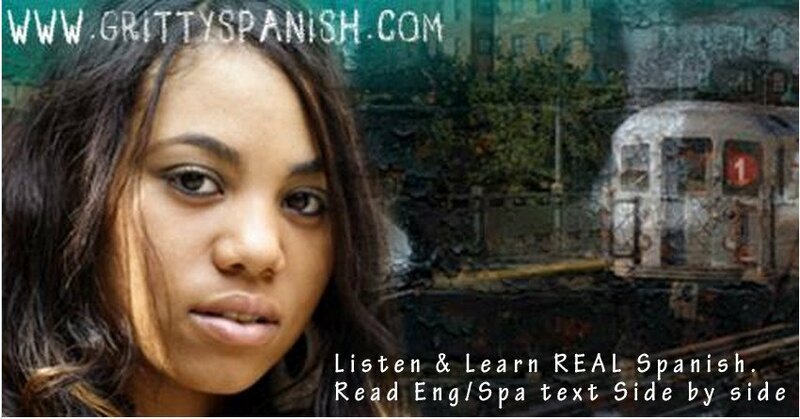 Put these lessons on your smart phone, iPod or iPhone and you can learn Spanish where ever you go. You can read the transcripts and grammar lessons on your computer or print them out and take them with you. You can even read them on your phone or tablet if you like. Speaking of reading, there’s a great book call Read and Think Spanish that has some great stories about traveling and culture in the Spanish speaking world. This book is great because the articles are fun and informative with vocabulary and translations printed in the margin of each page. And it comes with a CD so you can hear the conversations as well. So those are a just a few options you have to help you improve those Spanish eats of yours. But before I let you go, I want to share a few pearls of wisdom with you to help you navigate the often difficult and frustrating process of improving your listening skills. Lots of people get discouraged when they can’t understand what they’re listening to. I used to be the same way. But the truth is, in the early stages you aren’t supposed to understand everything you hear. Otherwise you wouldn’t be learning Spanish, you’d be a Spanish speaker. Don’t beat yourself up, just remember that you’re learning and you’re not going to understand everything. It’s a normal part of the process.And if you think the day will come when you can actually understand everything you hear, good luck. After 8 years I’m still waiting for that day. I can’t emphasis this enough. If you want to be able to understand Spanish, you need to hear it constantly. It doesn’t matter whether or not you understand everything, you just need to hear it. 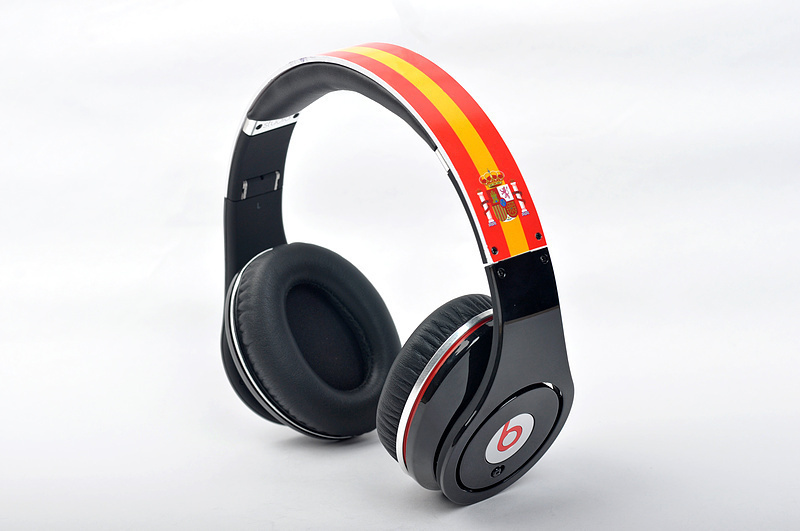 Have something Spanish playing in your ear as much as possible, even if you’re only passively listening. Yep, you don’t have to torture yourself by listening to 2 hours of something you don’t understand, a few minutes a day will do the trick. In general, I recommend you listen to something as often as you can for as long as you can. Honestly, 5-10 minutes of the morning news on TV or the radio will work just fine. Or put on one those Spanish songs you like. But really, anything will do. Whatever interests you and keeps you listening everyday is just fine. It’s going to take a little while, but if you stick with it you’ll notice a significant change in your listening abilities. That 5-10 minutes or more a day will start to pay off. I recommend you find a song, a podcast, a video, something in 100% Spanish to serve as a gauge. It should be something you have a hard time understanding. Listen to it a couple of times, set it aside and come back to it after a few months. I bet you’ll be surprised at how much more you understand. Assuming you keep practicing during those 1-3 months, that is. We often focus on the negative instead of the positive. Pat yourself on the back for every single word you successfully process. You gotta give yourself credit where credit is due. Remember, your goal is to make progress, not to beat yourself up about the things you didn’t understand. It’s true. The first time you hear something you may not understand it. To this day there are still things I have to listen to 3 or 4 times to be able to understand it. Each time you listen you tend to pick up a little more. You’ll be more motivated and dedicated if you listen to things you like. Movie trailers, music, songs, interviews, you get the idea. That’s it. If you follow the advice in this post you’ll quickly make huge advancements in your listening ability.Here are some related posts you may find helpful. I want to learn Spanish, now what?